Finding the right talent is a huge struggle. As market needs outpace talent availability in some areas, many firms are looking to their recruitment agencies to help them. Filling up vacancies and hiring the right persons are also becoming crucial for survival. Else, they will not be able to compete, grow and out-maneuver in a market that is more global and competitive than ever before. Automation and data analytics help. But they will never substitute human decision making--at least not anytime soon. Meanwhile, firms still need human talents to make the right decisions, explore new revenue opportunities, pivot a firm into a whole new direction and solidify a market base. As recruitment firms come under pressure to perform, many are turning to Artificial Intelligence (AI). The cleverer ones are embracing AI to change their entire value proposition--and alter the way we hire forever. Samuel Brown, Managing Director, APAC at Hillman Ross knows this all too well. His firm is integrating AI into their daily processes. They are currently establishing an offshore office to house their development team. The team’s primary mission is to build an AI-driven platform for core recruitment functions for the firm. One area where Brown sees AI outshining is shortening time-to-fill. The metric shows how long a recruiter takes to fill a position. A shorter time-to-fill not only alleviates talent shortages faster but also reduces the cost for searching the right talent, and improves a firm's chance to capture new revenue opportunities or sidestep costly challenges. "The ability of AI to analyze huge volumes of data with an evolving understanding of the end-user requirements will see job fill times reduced significantly. The speed-to-market of firms embracing this technology will revolutionize the industry. Those who fail to seize the opportunity will be left in the dark ages!" Brown said. AI is also rewiring the traditional recruitment business model, Brown noted. For example, AI and machine learning are helping firms to "reverse engineer" a candidate to determine the best fit. It is also aiding human resource teams to predict a potential candidate's performance and longevity better. “In short, it will change the matrix we recruit by," Brown added. As a result, AI will speed up recruitment and drive better results. “We are looking to implement a live AI program to match current vacancies and open jobs with our candidate pool. We are also looking to ‘scour' the internet for potential candidates who are inactive," Brown noted, highlighting the potential of an instantaneous global search platform using "Web crawler technology integrated with machine learning." Brown noted that it is still early days for AI. Many recruiters are still trying to understand the full impact of AI. However, what is certain is that AI will play an increasingly important role in recruitment. "AI and machine learning are buzzwords at the moment and are very much in their infancies. Striking the right balance between the ‘human element' and the commercial need for faster and more cost-effective recruitment processes will be the critical challenge facing all firms who are looking to embrace this latest wave of technology to confront the recruitment industry," Brown said. Despite his favorable outlook of AI, Brown does not think AI will replace the need for a recruiter entirely. He agreed that AI could help in the volume-end of the recruitment industry, but hiring top senior executives is still a people-oriented process. Instead, he sees AI assisting, not replacing, hirers and recruiters like himself. “At the end of the day, recruitment has seen wave after wave of technology unleashed upon the industry, be it jobs boards, LinkedIn or any myriad of candidate-sourcing tools. Rather than jeopardize the industry, they have been harnessed and utilized to astonishing effect,” Brown said optimistically. "Plain and simple: the recruitment industry is a people-oriented industry. Removing the human element from the process entirely is highly unlikely," Brown added. 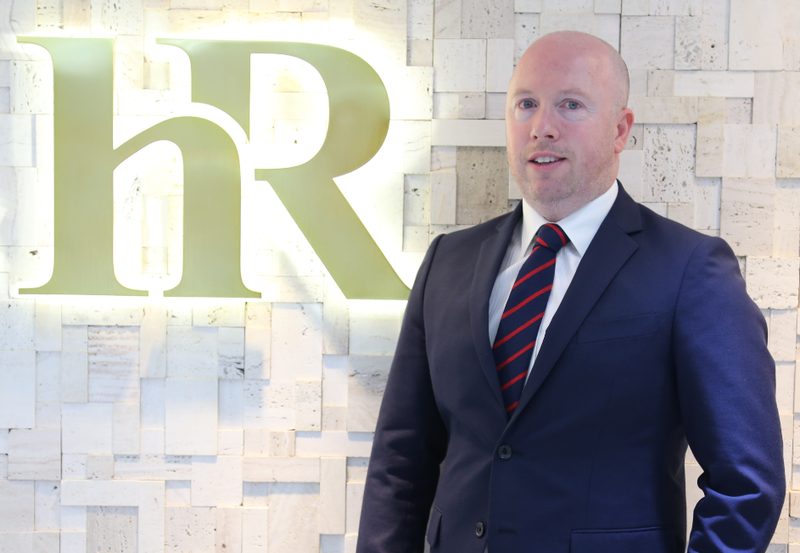 Samuel Brown, Managing Director, APAC at Hillman Ross is using AI to find better hires faster for their clients.